Every time we go back to my hometown of Milton, WV, we visit the Blenko Glass Company, a world-renowned hand-blown glass factory that produces elegant art glass, functional glassware & architectural glass. Blenko makes art glass & more. 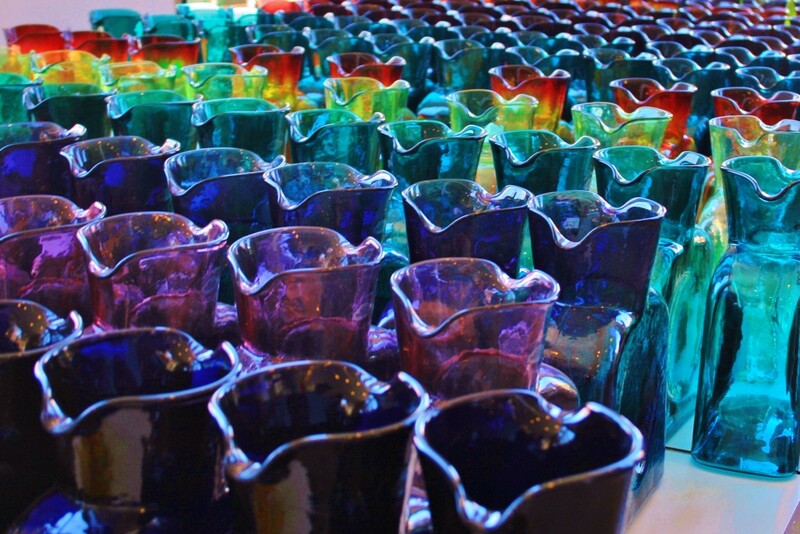 Over the years, numerous artists have designed for the Blenko Glass Company in Milton, WV. But no matter who the designer, Blenko glass invariably has a unique quality—a bold, clean style matched with a stunning color that makes every Blenko glass piece easily distinguishable from other hand-blown glass. 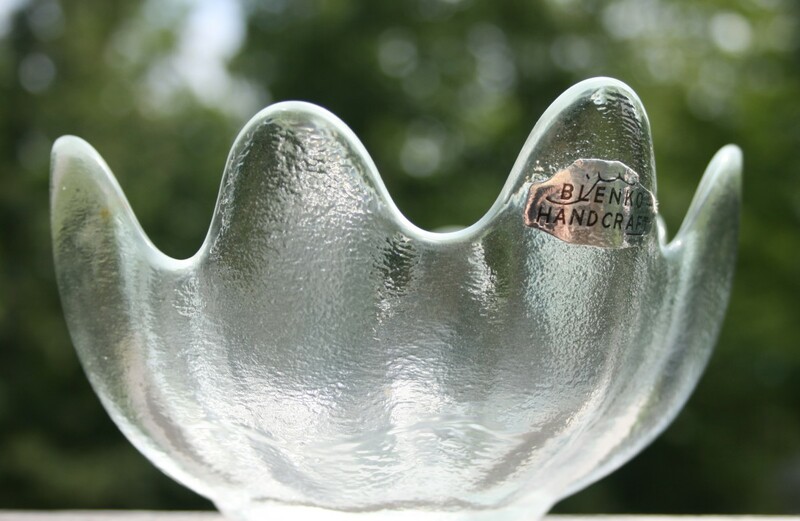 I love Blenko glass, and not just because I grew up in the town where it's made. Blenko is a joy to have and to use. Blenko's functional glass pieces (drinking glasses, salad bowls, water jugs, mugs, pitchers, fruit bowls, etc.) are beautiful as well as sturdy. They are made to be used. And there's something innately satisfying, even uplifting, about using a handmade thing of beauty in daily life. 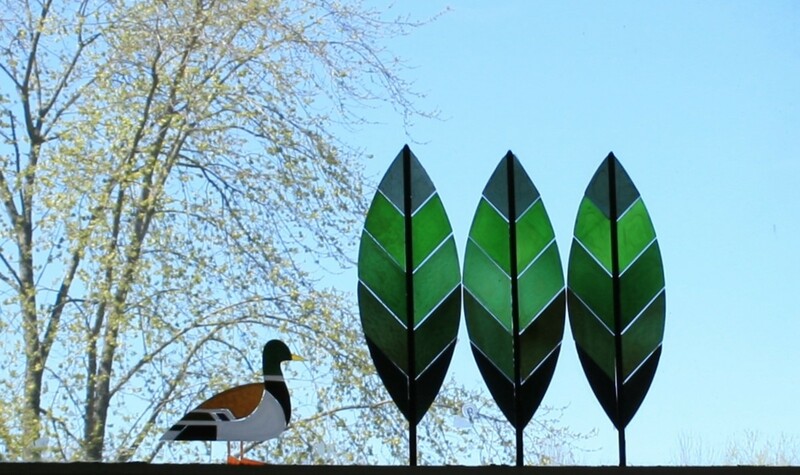 Like its functional glass, Blenko's hand-blown glass sheets and glass slabs add gorgeous color to screens, windows and other architectural elements in the home and garden. Blenko glass products are typically heavy pieces with thick walls. They are also usually transparent. If the rims of items are polished, they're typically fired polished rather than ground, giving them an uneven, wobbly appearance. Almost all Blenko glass is not molded or cold-worked but blown hot using a pontil rod (a hollow metal rod that's attached to the base of molten glass so that it can be blown and tooled into a finished product). For this reason, most pieces of Blenko have a pontil mark. The mark, which looks like a raised circle, ordinarily appears on the bottom of the piece of glass. It's sort of like a glass belly button. Items called "pressed" are molded rather than hand blown. I've never seen an art glass piece without a pontil mark, but Blenko salad bowls are generally pressed, so they don't have a belly button. 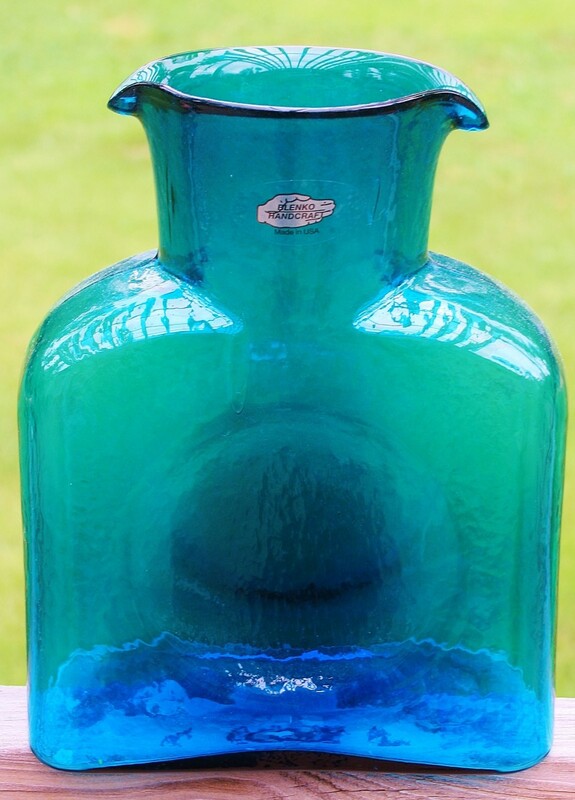 One of the more popular Blenko functional pieces, the water jug, is hand blown and has a pontil mark on its bottom. Unless it's been removed, Blenko glass will also have an identifying sticker on it. My grandmother always told me to leave the "tag" on Blenko, as that would increase the piece's value over time. 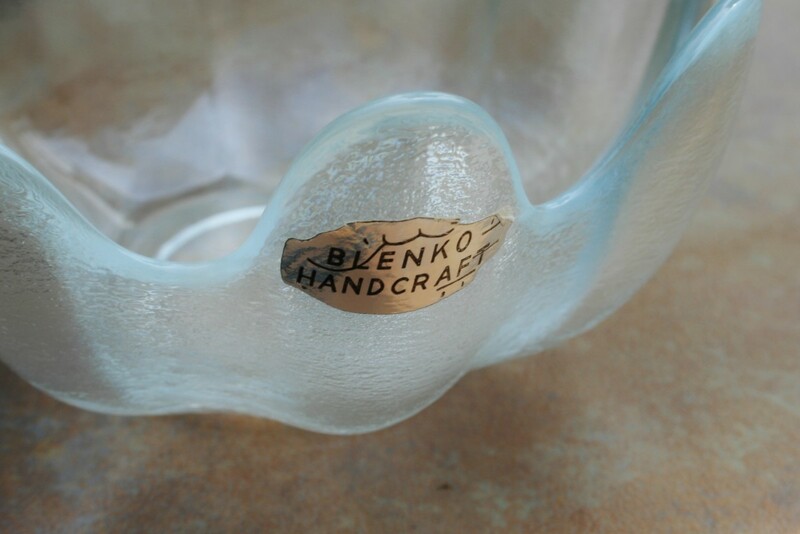 For many years, the Blenko sticker was a foil silver and black hand with the words "Blenko Handcraft" across it in black. Then the sticker changed to a giant "B" with an orange dot in the middle and the word "BLENKO" at the top and "HANDMADE" across the bottom. 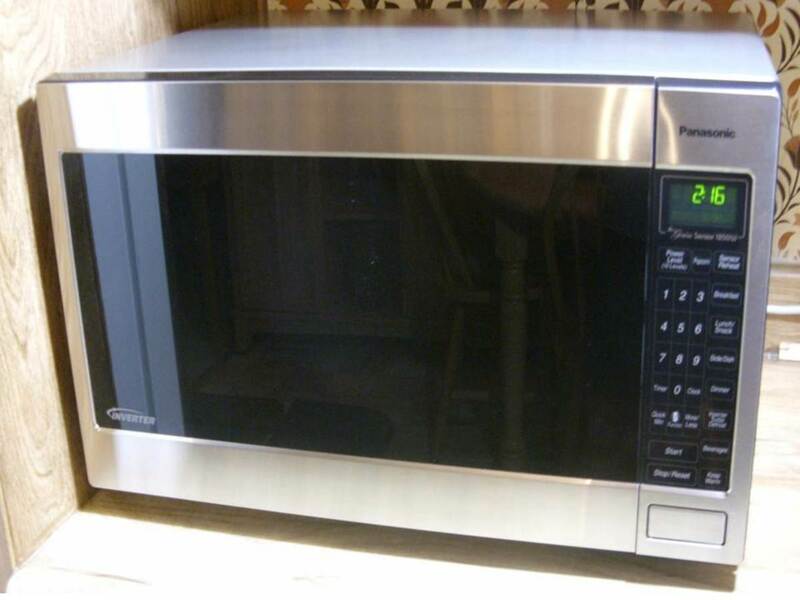 Today, the silver and black hand is back, but now it has a clear surround on which the words "Made in USA" appear. Blenko glass is gorgeous in gardens where sunlight can accentuate the beauty and clarity of its color. 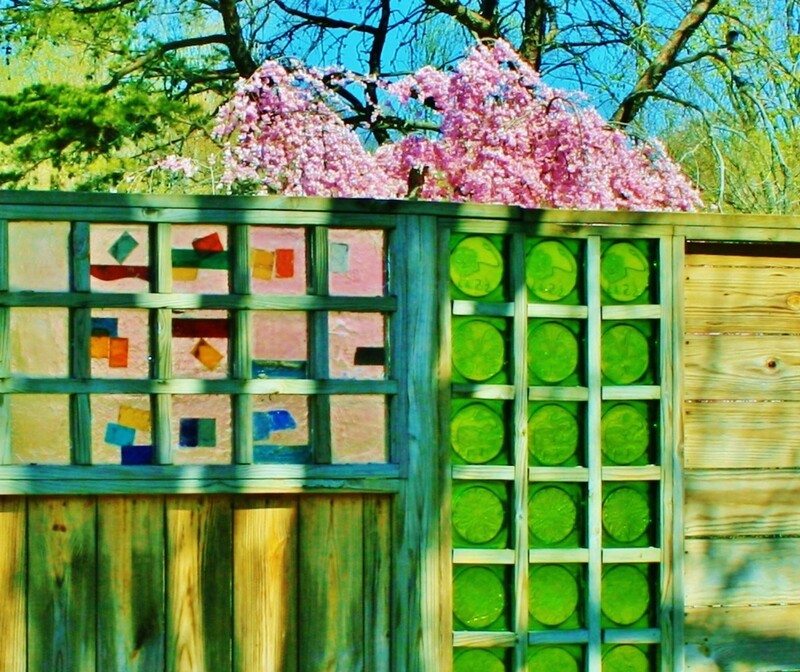 Arrange glass blocks, slabs and drops among the flowers, or use them as borders. Outdoor screens with dalle de verre glass slabs like the ones outside the factory's gift shop are stunning, too, particularly in sunlight. These gardeners in Charleston, WV, have created a beautiful garden filled with Blenko glass. If you plug the Blenko Glass Factory address into MapQuest, the directions will lead you to believe that you enter the factory off Bill Blenko Drive across from the fairgrounds where Milton's annual Pumpkin Festival takes place each October. But don't stop there. Keep going past the plant to the right. You'll go over a rough patch of road (old railroad tracks) and over a short, shady hill. Immediately at the bottom of the hill to the right is the visitor's entrance to Blenko's. The gift shop is on the ground floor of the visitor center. It has many more items than Blenko's online store, and the displays are a feast for the eyes. 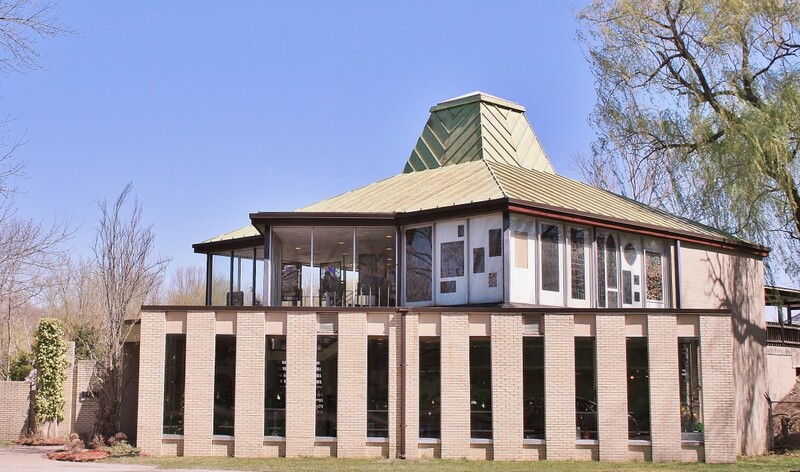 From the gift shop, you can go outside into a small garden area by the duck pond or upstairs to a museum area where you can learn about the history of Blenko glass and see 19th and 20th-century examples of Blenko products. Free glass-making demonstrations occur daily from 8 AM to 3:30 PM, M-F (excepting holidays) with a short break for lunch from 12-12:30. Most days, you can also tour the factory and watch glass being blown by hand. I first saw glass blown during an elementary school field trip to the Blenko factory. Although the clothing has changed, the process looks the same in the video above as it did back then. After the demonstration, we headed for the bus, passing through the gift shop which was run by Mrs. Blenko back then. (Before marrying, she had been a hairdresser and was a friend of my grandmother.) Pulling me aside, she pressed a glass paperweight into my hand and whispered, "You've got the best looking daddy in town!" She was quite a character! 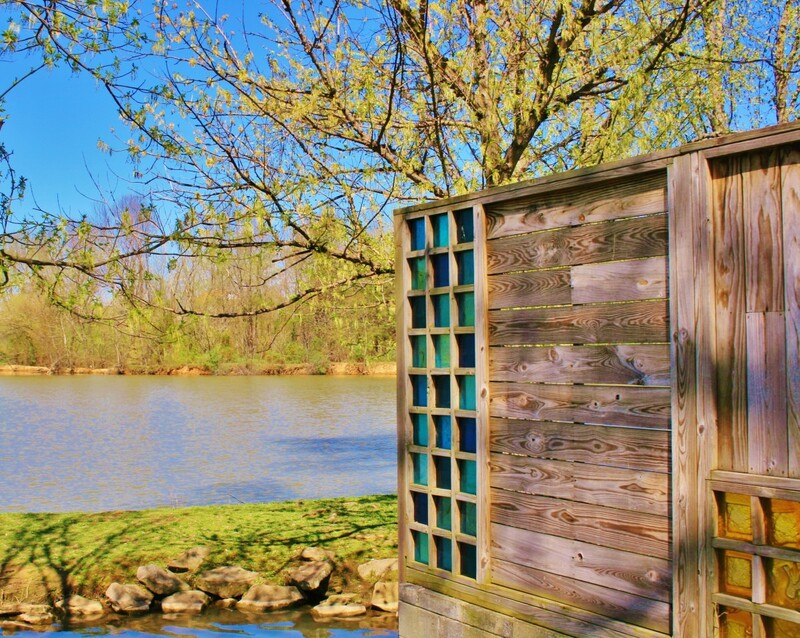 Locals love the duck pond beside Blenko's almost as much as they love the glass, and if you visit the factory, you'll probably see visitors tossing bread to the ducks that live at the small lake by the factory. These days my mother takes her great grandson to Blenko's every week to feed the ducks. It's a local tradition! When my husband and I visited last, the ducks were nesting in the fenced garden area outside the gift shop. 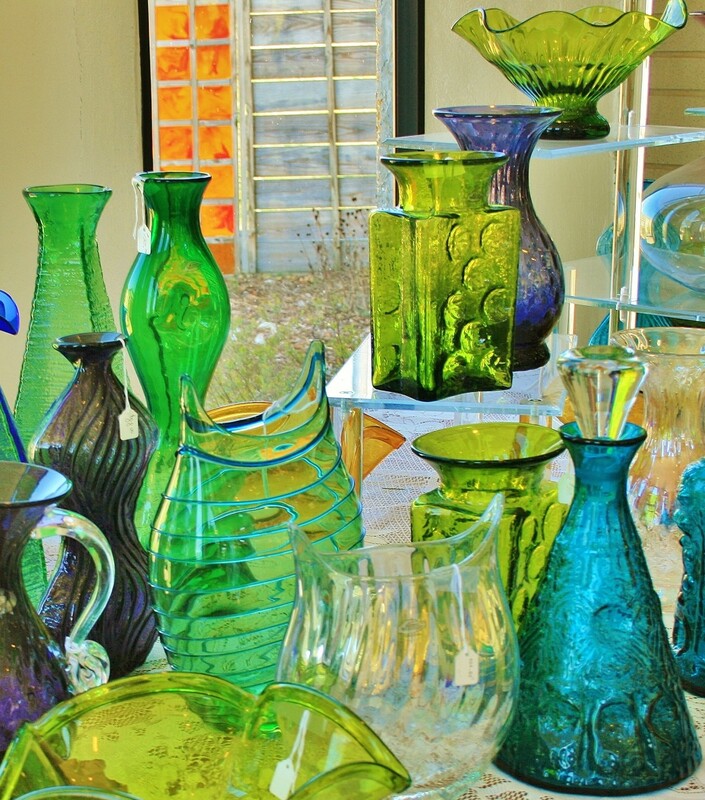 Blenko holds an annual Festival of Glass each fall. A new piece of glass art is released at that time and sold in extremely limited quantities. 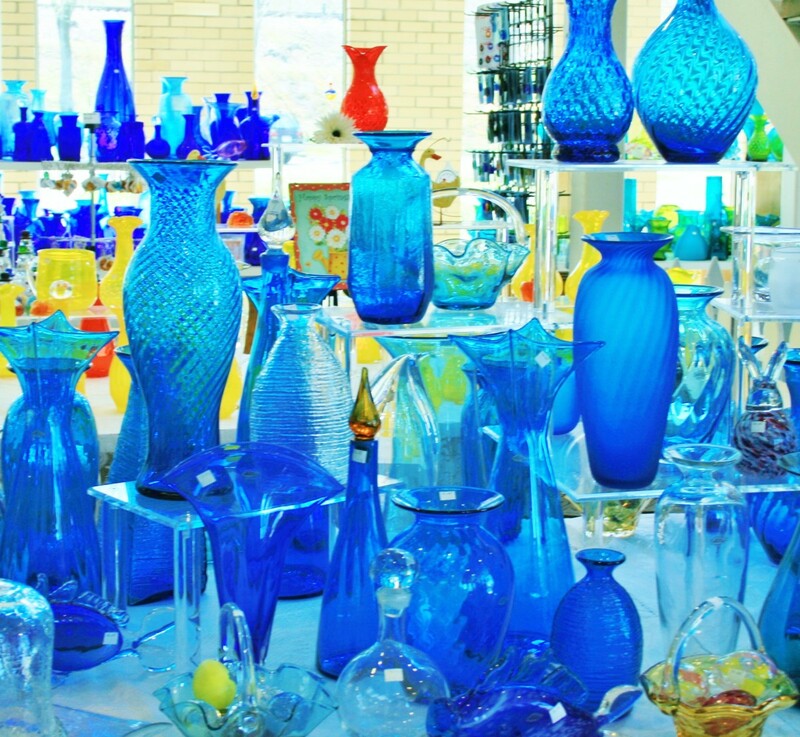 Can't make it to Milton, WV for a touch of Blenko glass? No worries. 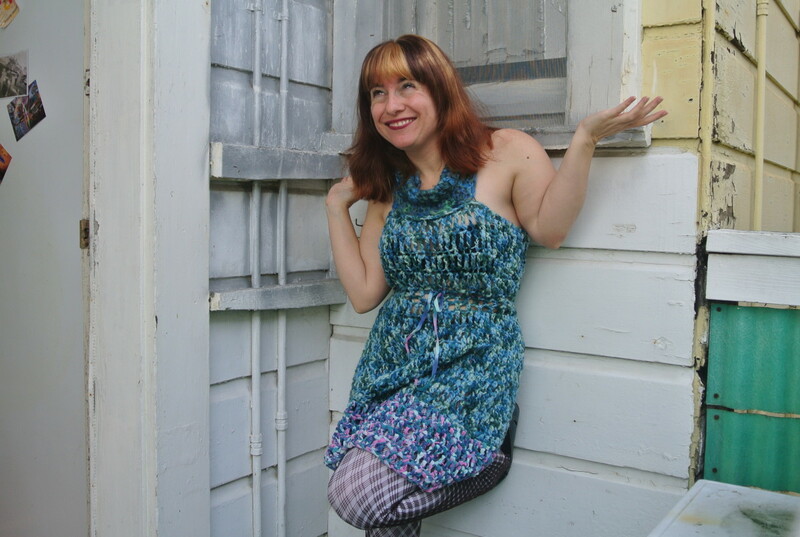 You can shop Blenko at the company's online store. Of course, the selection is not as good. And the glass won't be as cheap as it is in the gift shop. You'll miss out on the ducks, too, and the Blenko history lesson and the glass-blowing demonstration. Are you sure you can't drive to Milton just once? Awesome hub with beautiful art glass. They look like gems. Hope you do get a chance to go someday, Glimmer Twin Fan. If you like glassware, you'll love Blenko! 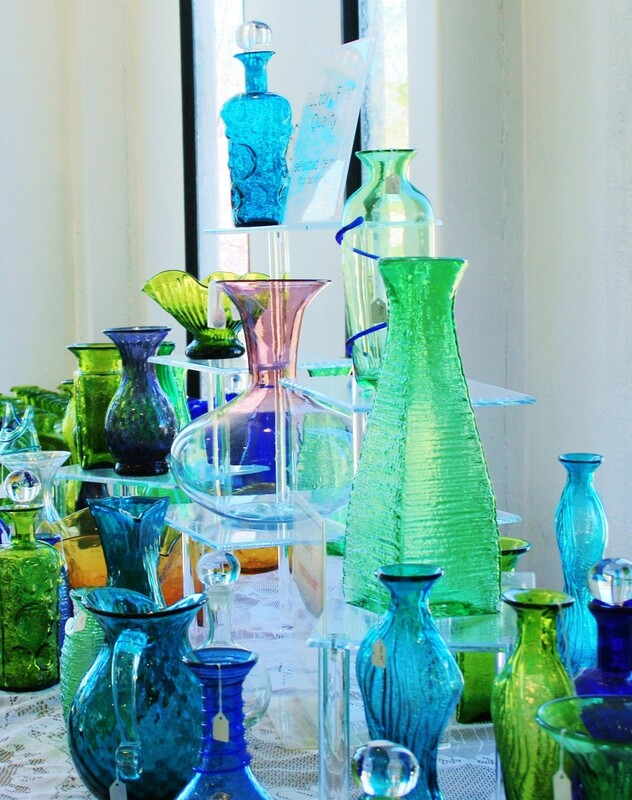 How cool - I love different types of glassware and these colors are gorgeous. Would love to visit one day. I can picture a shelf full of the bright colors adorning one of my walls. Pinned. Nice hub, I live near the Dow Chemical Co and they make glass there too, or at least they did when I was young. I'm sure they don't do tours any longer so I don't know what purposes their glassware has. 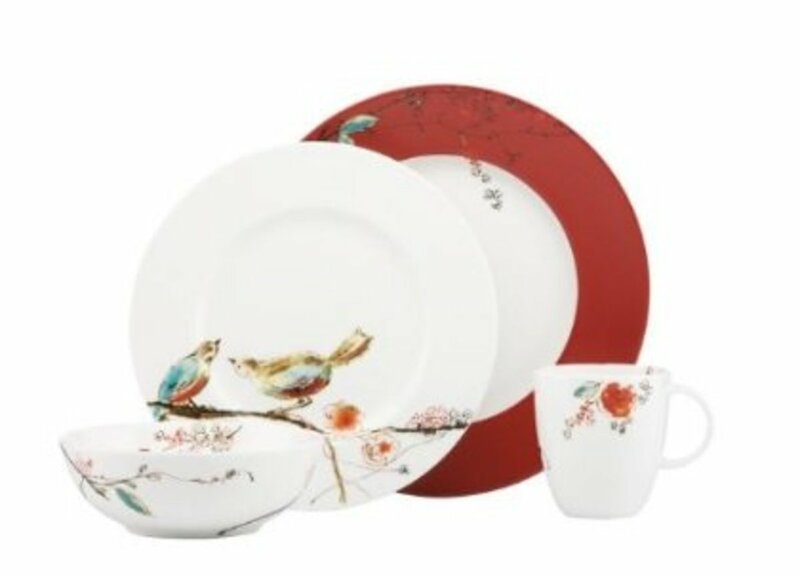 The company you are showcasing has gorgeous items on display. 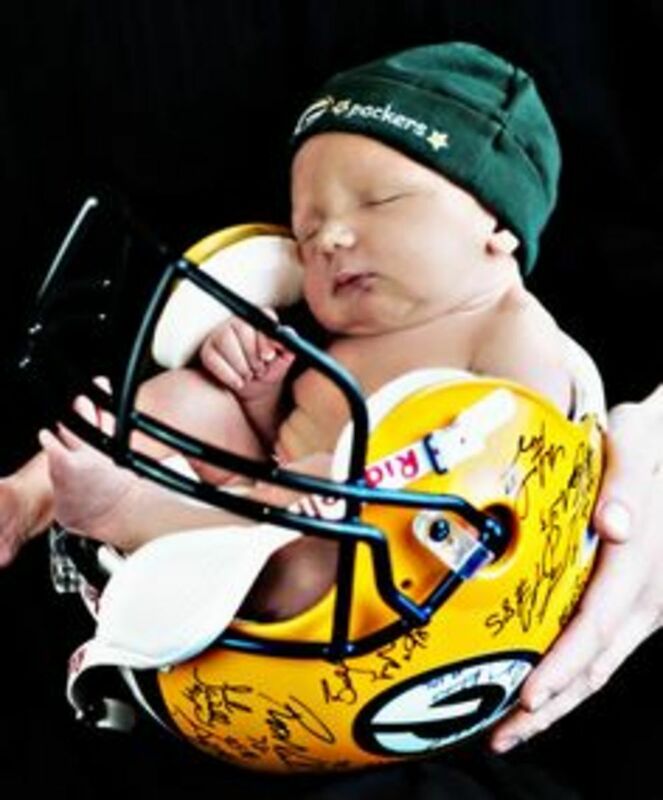 I've pinned a couple of the pictures and voted up. This would be a great place to shop, have lunch, and spend time with wildlife. Another good place in VT is Shelburne Museum, which is just a hop, skip, and a jump from the VT Teddy Bear Factory. Thanks so much, Eddy. Amazing how glass can be so warm! I really love the heavy, chunky pieces. Wow loved this one Jill. Well presented and so interesting. All those warm and vibrant colours amazing. Glass blowing seems like such a good creative outlet, and in Blenko's case, functional too. This glassware is just beautiful. I've never heard of it, until now. Hi Liz. It wasn't that unusual for me to have some woman in town tell me my dad was handsome or a "sharp" dresser or the "best smellingest man" around. To this day it makes me roll my eyes. You just don't think of your dad like that! Thanks for commenting. Have a good one! Beautiful! I love these glass pieces--so bright and colorful. 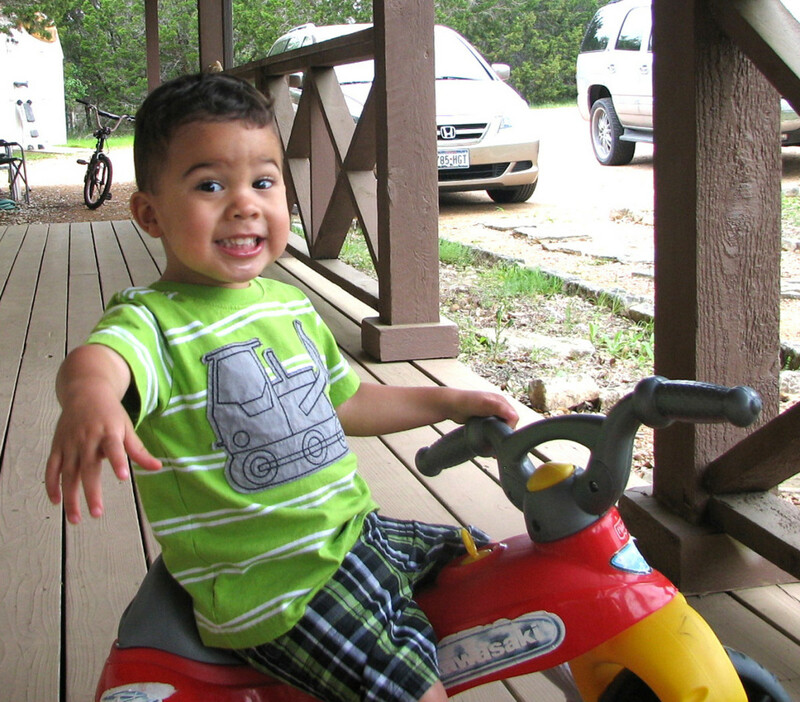 That story about your "best-looking daddy" prize is hysterical. Thanks a bunch, tillsontitan. A lot of people like to collect Blenko and display it on shelves in a window. The colors are incredible that way! Thank you for the introduction. I'd never heard of Blenko Glass. Your information made it very interesting and your photos are gorgeous. 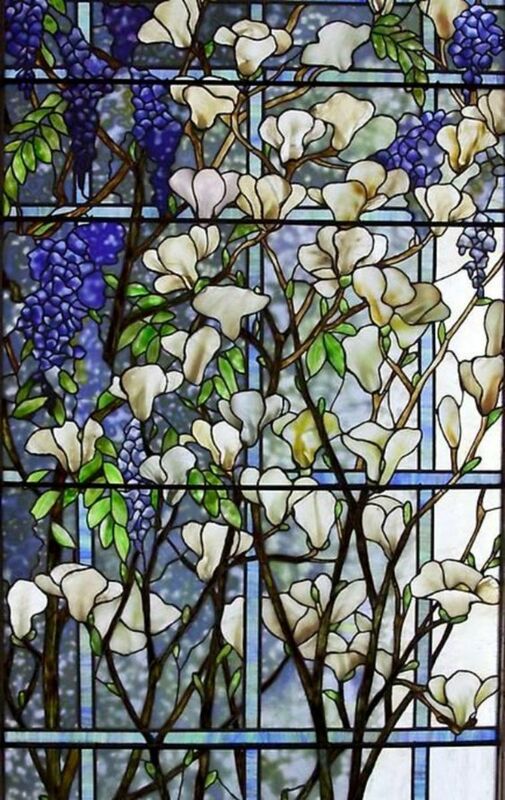 The different colored glass all together is just, well, gorgeous. Sounds like you have a lot of history with this factory. And who doesn't love to feed the ducks? Voted up, useful, beautiful (for your pictures), and interesting. This sounds awesome. Great article.